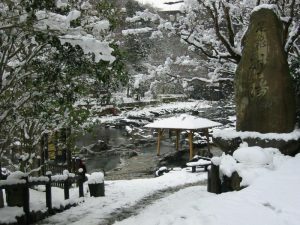 ..Winter Season Greetings - Snow Beauty at Hot Spring Hakkei..
It`s getting cold outside.. are you ready for winter ? 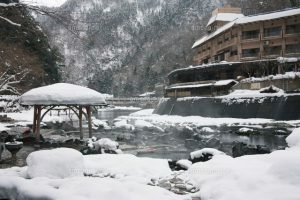 Winter season just arrived at Yubara Hot Spring. It's starting to snow on this side last week, looking forward to the white snow scenery again. 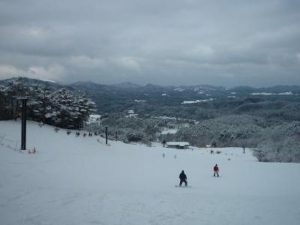 Let's take a look at the snowy scenery of last year. For all of us, winter on the ground is particularly slippery, motorists are to be more careful and watch out for traffic. 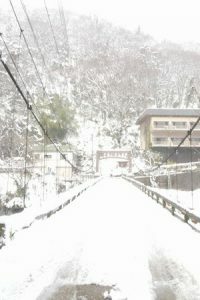 Suspension bridge "Nearby bridge" is Hakkei, view after snow falls. There is a weight limit of 2 tons, at one time only one car pass through so please take care. Open air hot spring bath place, seen after snow falls. The winter months might be cold and dark, but full of festivities and holidays. In December, saying “Season’s greetings” is a way to wish someone a happy holiday. 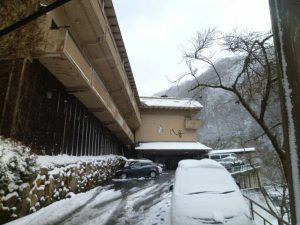 View from hot spring to Hakkei Ryokan, when surroundings are full with snow. Wishes for a joyous season, enjoy snow sports, wishing you happiness with health. You are welcome to see beauty sceneries here at Maniwa - Yubara in front of Hakkei. Let`s check in again, getting into the outdoor bath in the room. Take care and soon will write more about Japan, so please follow us..